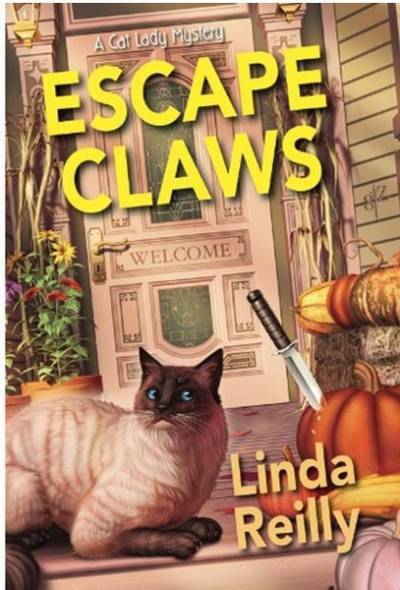 This week we have a review of another fun cat related mystery-Escape Claws by Linda Reilly. We also have an interesting interview with Linda. Details at the end of this post on how to enter to win an EBOOK copy of Escape Claws, and a link to purchase it from Amazon and an indie bookstore where a portion goes to help support KRL. When Lara Caphart was called to help her aunt back in Whisker Jog, New Hampshire, Lara wasn’t sure what to expect. Rumors swirled that Fran Clarkson had become the epitome of a cat lady, and the discovery of eleven cats living in Aunt Fran’s run-down Victorian did little to dispel that. A debilitating knee condition led to Aunt Fran becoming overwhelmed by the felines she rescued and adores, so Lara takes a break from her baking job in Boston to help. It’s a visit long overdue but just in time, especially when Lara sees businessman Theo Barnes bully her aunt with demands to buy her property. Their confrontation is what leads police to place Fran high on the suspect list when a mysterious cat leads Lara to Theo’s corpse, despite his now-joyful ex-wife and lurid secrets he held over others. Having seen Aunt Fran out at night at the time of the murder, Lara is intent not just on proving both their innocence, but uncovering the killer. It’s been sixteen years since Lara left Whisker Jog, and the guilt over never having visited has her further indebted to her beloved aunt. It’s a feeling not helped by being reminded by everyone who remembers her as an eleven-year-old that the stay is only temporary, especially as incentives to stay seem to keep appearing. Among these is her former crush, as well as a rag-doll cat who bears a striking resemblance to her beloved childhood companion. The only thing more baffling than the cat-who-looks-like-Blue ability to uncover clues is that Lara seems to be the only one aware of his presence. Returning to a hometown never fails to stir up feelings of nostalgia, childhood, and regret. Here, the author builds upon this theme by unraveling how often it is simply inertia and life, not some scandalous secret, that prevents one from returning home. There still are puzzle elements that will hopefully be more reveals unraveling more of Lara’s mother and her reasons for cutting ties, but this debut in the series answers enough questions to leave readers satisfied and eager for more. The one week in which Lara becomes immersed in Whisker Job allows her to appreciate the friendships she once had and the reconnections she makes, especially as she becomes closer to Aunt Fran. Her continuing to tutor a student, with the help of the mysterious reading cat, adds yet another sympathetic layer to the strong and complex woman. Aunt Fran’s devotion to the cats she shelves has Lara intent on building it into a permanent, legal facility, a fiscal and legal challenge sure to delight animal lovers. Strong cozy elements will please fans of the genre, but Lara is never more admirable when she cites correct law enforcement restrictions and regulations. This procedural element enhances a very fun cat-centric novel, along with strong writing, fun characters, and a crowd-pleasing finale. Linda: I began writing short stories in 1995 with the hope of getting one published by Woman’s World Magazine. Their mini-mysteries had always intrigued me. I thought if I could get one story published, I could die happy. After three or four submissions and rejections, they accepted my first short mystery, “Out of Luck,” for publication. It set me on a path to having many more mini-mysteries, along with a few short romances, published by them. 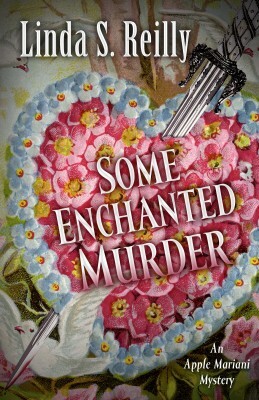 Linda: My first novel, Some Enchanted Murder, was released in 2013 by Five Star Publishing. The main character, Apple (Apollonia) Mariani, is a paralegal/title examiner, a job with which I’m very familiar. When appraiser Lou Marshall is stabbed with an antique dagger at an estate sale and an elderly friend goes missing, Apple and her aunt Tressa begin their own investigation. From the shelves of a local antique shop to a diner that hasn’t been cleaned in decades, they collect a series of clues that seem maddeningly unrelated. But the key clue is in the old valentine entrusted to Apple shortly before the murder. When the final puzzle piece snicks into place, what emerges is a decades-old obsession of the heart, and a modern-day killer bent on burying the truth forever. Linda: Mysteries and psychological suspense are my favorite kinds of stories to write, but I’ve written a few short romances. For me, mysteries are far more fun to write—creating clues, setting up suspects, sprinkling red herrings throughout the story…all the things that (hopefully!) keep readers on the edge of their seats. Linda: I wanted the setting for the Cat Lady Mysteries to be in a fictional New Hampshire town—one that I could create to fit my own vision. I chose a locale in the Lakes Region of New Hampshire and named it Whisker Jog. (The second Cat Lady mystery explains the origin of that name). As for the house, I searched the internet for the perfect one. I found a Folk Victorian home that fit the bill, and adapted it to suit my story. It has a “large parlor” and a “small parlor,” along with a big eat-in kitchen. The backyard is on a hill that overlooks the town center, which is a short walk from the house. A downtown coffee shop, with its 1960s décor, appears frequently in the book. I wanted the main character, Lara, to be a cat lover but not an animal expert, so I made her a watercolor artist. (I’ve always wanted to paint watercolors but I’m completely talentless at it.) Lara’s artistic abilities and creative mind help make her a better amateur sleuth. Linda: Honestly, I aim for both. I once read a blurb for writers that said, “Immerse readers in your story world.” That’s what I attempt to do. But each book has an underlying theme, something I don’t always realize until I’ve finished writing it. Linda: I write mostly in the morning when my brain is fresh. During hectic times of looming deadlines, I pretty much write all day. Linda: I write a somewhat loose synopsis before starting a new book. Scenarios will change as I progress through the manuscript, but having it as a base to work from is crucial for me. Linda: The internet serves a good source for light research, but I’ve also gone to experts (librarians and surveyors, to name a few) for information on particular subjects. Linda: Mornings are best for me. Luckily, I retired two years ago so my time is (mostly) my own. Linda: I was very fortunate to have a story published in Woman’s World about six months after I began submitting. But getting my first cozy accepted was far more of a challenge. The closest I came before being accepted by Five Star was with a small, highly reputable press that publishes some great mysteries. My manuscript kept moving higher up the ladder, closer and closer to the editor who had the final say. With each rung I climbed, my hopes soared. And then came the heartbreaking rejection from the editor. It stung badly, but her comments were insightful. She also had a lot of positive things to say. I took her critique to heart and revised the manuscript. Ultimately, I think that helped me get Some Enchanted Murder accepted by Five Star. 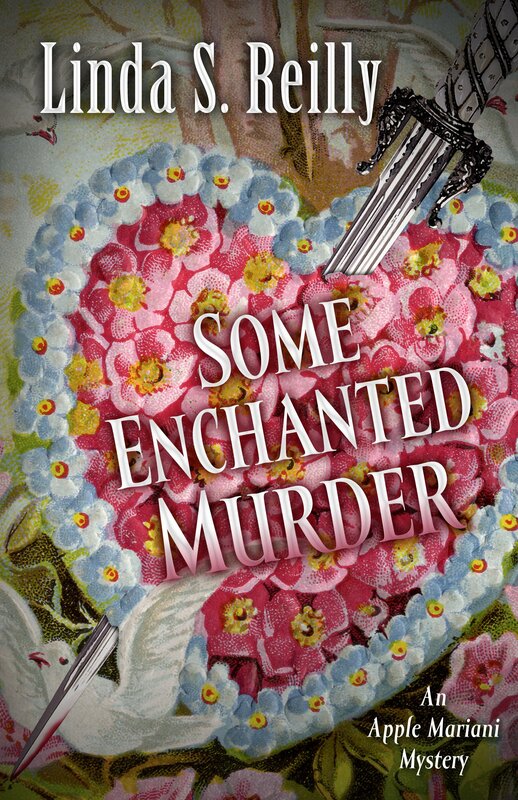 Linda: The day I received the e-mail from Five Star Publishing telling me that they wanted to publish Some Enchanted Murder was one of the most amazing days of my life. It was late on a Friday afternoon in December. I was at work when I opened the e-mail. It took me several seconds to comprehend what I was reading, and then I started to scream. Two other women were in the office at the time, and when they heard me yell, they came running – they thought I’d seen a bug! I drove home that evening in a happy daze that lasted well into the next day. KRL: Do you have an interesting book signing story–in a bookstore or other venue? Linda: My book signing events have been pretty tame. When an old friend I hadn’t seen in over twenty years showed up at my last one, I was ecstatic. KRL: What are some of your future writing goals? Linda: I’d love to write another cozy series, and I have an idea rumbling around in my head for a psychological suspense novel—one with Gothic overtones. KRL: Who are some of your writing heroes? Linda: Oh, so many! Agatha Christie, Dean Koontz, Susan Furlong, Julia Buckley, Jenn McKinlay, and Ellery Adams…for starters. Linda: I read loads of cozy mysteries, with some suspense in between. I’ve read some historical novels recently for my book club, and enjoyed them tremendously. KRL: What are some of your favorite TV or movies? Linda: I’m a bit of a dinosaur. The Godfather has always been my favorite movie, and I still relish the reruns of Monk. And I love Shark Tank! I’ve also gotten hooked on the Garage Sale Mysteries and the Aurora Teagarden Mysteries on the Hallmark Movies & Mysteries channel. Linda: Do lots of reading, especially in the genres you most enjoy. Pay attention to the things you love about your favorite books, but also make note of the things that bugged you about books you didn’t care for. Online classes can also be a great way to improve your craft. And use powerful verbs — they can transform an average story into a dynamic one. 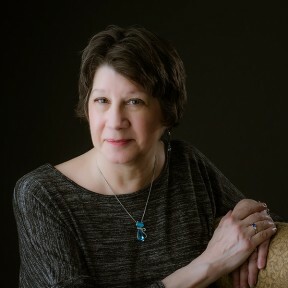 Linda: I feel grateful and honored to be a part of the cozy mystery community—both the readers and the writers are the kindest, warmest people I’ve ever encountered. Linda: I’ve never drunk beer in my life! I just can’t stand the taste. KRL: Where can fans find you? Website? Facebook? Twitter? Linda: I use all three, but prefer Facebook as a venue for keeping in touch with readers. To enter to win an EBOOK copy of Escape Claws, simply email KRL at krlcontests@gmail[dot]com by replacing the [dot] with a period, and with the subject line “claws,” or comment on this article. A winner will be chosen January 27, 2018. U.S. residents only. If entering via email please include your mailing address, and if via comment please include your email address. I’m anxious to read this new series! I’m a big cat lover! Any book with a cat on the cover and a feline related title has to be a great read. Enjoyed the interviews. I truly enjoyed learning more about the author and this book. Sounds like my kind of book! Thanks for the interview! I enjoy reading about an author’s career and writing process. I loved this book and look forward to reading the next book in the series! Please don’t enter me in the giveaway, as I already have an ARC ebook of Escape Claws. I’m looking foward to reading this. “Escape Claws” By Linda Reilly is on my TBR list. Enjoyed reading the author interview. I love learning more about the person behind the words that I so love to read. Thanks for the chance to win a copy! Hoping to be the fortunate one selected. Interesting, thanks for all the information! Love the cover! I really enjoyed the description of the book. Sounds like a great read.